The DMT Dia-Sharp Off Set Mini Hone is a diamond sharpener with a coarse grit. It has a blue ergonomic handle. It's excellent for small and pointed tools. 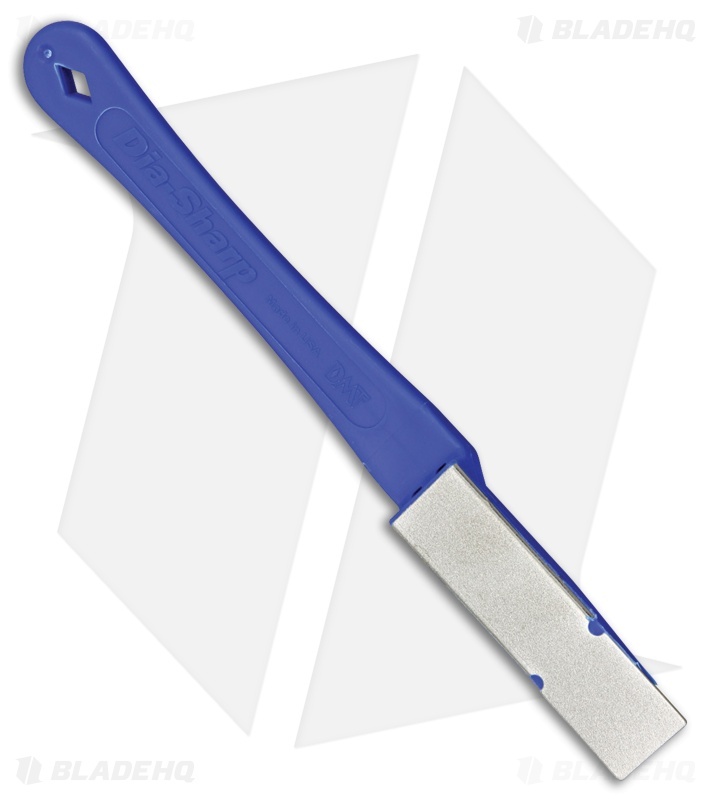 Allows for comfortable sharpening, deburring and honing in tight spaces. The sharpening surface stays flat.